Without its own tropical region or territory, the Caribbean is Canada's holiday playground. This is especially true for Ontario, Quebec and the Maritimes as dozens of flights depart Toronto Pearson International Airport daily for the Caribbean. With hundreds of islands to choose from, how does one settle on just one location, let alone a resort? Glossy brochures all show pristine beaches, crystal waters, swaying palms and smiling locals. That's valid criteria with which to pick a destination but it hardly narrows down the choice! 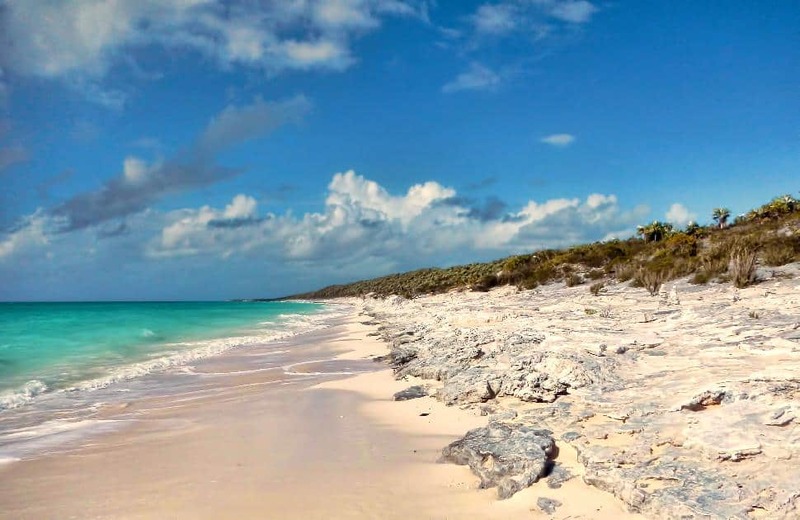 Over here at Canadian Traveller whenever we hear the word 'Caribbean' we immediately hear the Beach Boys gently crooning, "Bermuda, Bahama, come on pretty mama..." The Bahamas. The original Caribbean beach vacation. It's an island that is as pretty as a picture, but there are so many other reasons to visit and we've paired it down to a short 40. If that isn't enough you'll just have to trust the good judgement of Ernest Hemmingway and James Bond - they couldn't get enough of the island paradise. 1. Junkanoo is the Bahamian equivalent of Carnival in Brazil or Mardi Gras in New Orleans. This annual street festival celebrates all the local culture, food, dancing and music that makes the Bahamas worth a visit. If nothing else, it is the perfect excuse to disappear into a costumed crowd and get lost in the revelry. 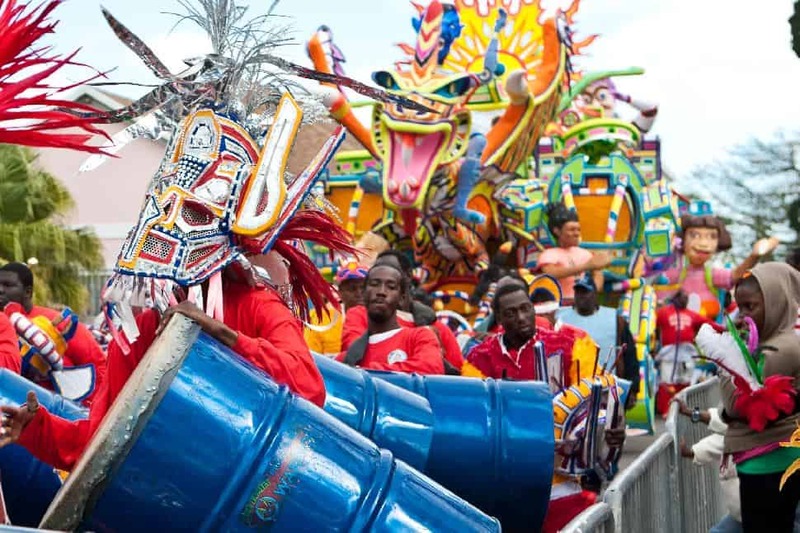 Those worried about missing it are in luck, Junkanoo is such a hit that it is celebrated twice a year - at the end of December and a smaller version in July. 2. Not all islands in the Bahamian archipelago are about lounging around on the beach. For visitors that want to try their hand at bringing in that prized catch, they should head to Bimini Island, or as it is more commonly known, the "Big Game Fishing Capital of The Bahamas." Not only can visitors enjoy deep sea fishing off the coast, but they can enjoy the beautiful wrecks, reefs and island scenery that served to inspire Earnest Hemmingway during the two years he spent living on Bimini. 3. Nassau is the beating heart of the Bahamas, and as such it contains of the most beloved sights in the country. While in the island capital, visitors should be sure to pay a visit to the Queen's Staircase, the country's most-visited man-made site. The Queen's Staircase consists of 63 solid limestone steps that were carved by slaves in the late 1700s. It was named in honour of Britain's Queen Victoria and leads up to Fort Fincastle, another fine attraction. 4. Sea kayaking has never seemed so alluring even for travellers that are not avid outdoors enthusiasts. Instead of being splashed by cold Atlantic surf, visitors to the Bahamas can enjoy clear, warm water and even warmer sunshine. Not only can visitors enjoy the best sea views of the islands, but they get a private show of the marine life below. 5. The Bahamas are a 007 paradise as the island has a long history as a James Bond movie location. Although film crews traditionally dismantle their set after filming, there are some things they can't pack up. Clifton Pier on the southern shore of New Providence is one such site. This picturesque area has been used for water and beach scenes in five Bond movies including Thunderball, The Spy Who Loved Me and Casino Royale. 6. For those who missed a career in Olympic volleyball, the chance for a little healthy competition and prizes at Breezes Resort and Spa - The Bahamas's exclusive beach and pool volleyball Olympics should not be missed. 7. How many countries can boast their very own pirate museum after being able to harvest enough artifacts to fill one? The Bahamas can. The Pirate Museum in Nassau provides an intriguing look at the lifestyle of pirates in days of yore through interactive exhibits and artifacts found throughout the islands and off its shore. Its location is even fitting the topic - Nassau had its beginnings as a pirate town. 8. Skip that next trip to Las Vegas; the Bahamas have all the grandeur of a Las Vegas-style casino in a more refreshing and beautiful setting. No matter whether it's Crystal Palace on New Providence or Count Bassie on Grand Bahama, each of the major islands has a place to test your luck. 9. Considering a destination wedding in the Caribbean? Why not the Bahamas? Almost anywhere in this beautiful country can be a wedding venue, with the Versailles Gardens on Paradise Island being the most popular. 10. The ocean water around any of the islands in the Bahamas has never dropped below 22 degrees celcius. That's reason enough to pay a visit, really. 11. Cable Beach is New Providence Island's most popular stretch of beachfront, praised for its clear water and ethereal white-coloured sand. 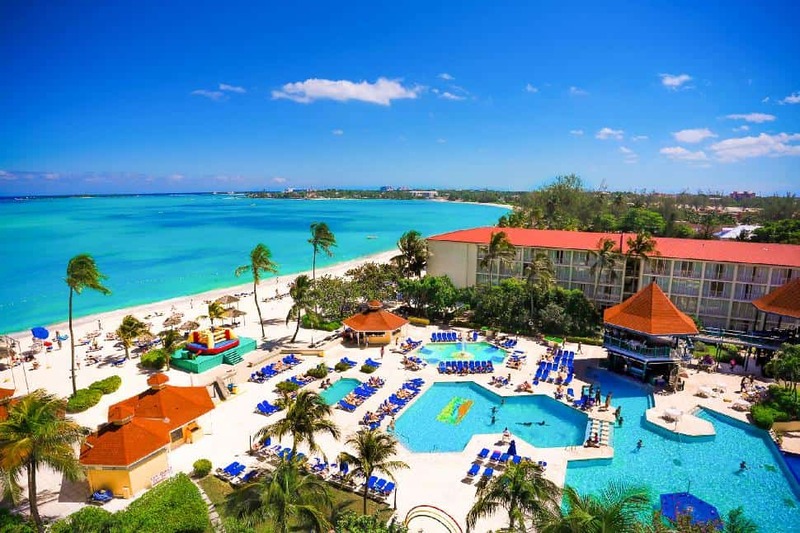 For those finding beautiful Cable Beach too crowded, exclusive Breezes Bahamas has the largest "beach per guest" ratio along this picturesque stretch of sand. 12. The Graycliff Restaurant in Nassau is hedonism at its finest. Not only do they serve up 5-star fare in a 250-year old colonial mansion, but it hosts the largest wine cellar in the western hemisphere. If 200,000 bottles of the world's finest vintages isn't temping enough, maybe its own in-house cigar factory will be. 13. The Bahamas are renowned for their abundance of eerie blue holes, a natural phenomenon in which limestone caves go completely vertical into the earth. However, it is also home to the largest. 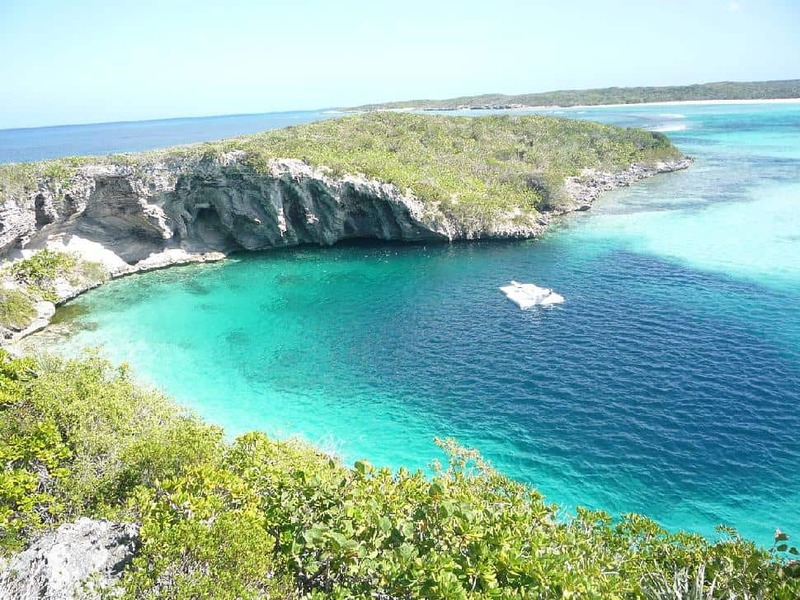 Dean's Blue Hole on Long Island is the deepest blue hole in the known world. Surrounded by towering cliffs, this natural wonder plunges over 180 meters deep. It is not only a popular spot for cliff jumping, but is a hot spot for free divers to come and practice their craft. 14. For the avid birdwatcher, the Bahamas are home to some of the most exotic and interesting birds in the world. While waterfowl and wading birds are most common, the islands also feature over 109 different species that migrate to the islands to breed. 15. Some Caribbean islands can be questionable in terms of safety and political instability. The Bahamas have prospered in over 270 years of democratic rule and is regarded as one of the most stable and safe countries in the world. 16. Make a note to pack those dancing shoes! The Bahamas is the perfect place to give them a workout. The merengue may have originated in the Dominican Republic, but it has fully permeated Bahamian culture. For those that still need to practice their footwork, lessons are offered at some clubs as well as resorts like Breezes Bahamas. 17. The Bahamas are world famous for their People-to-People program. 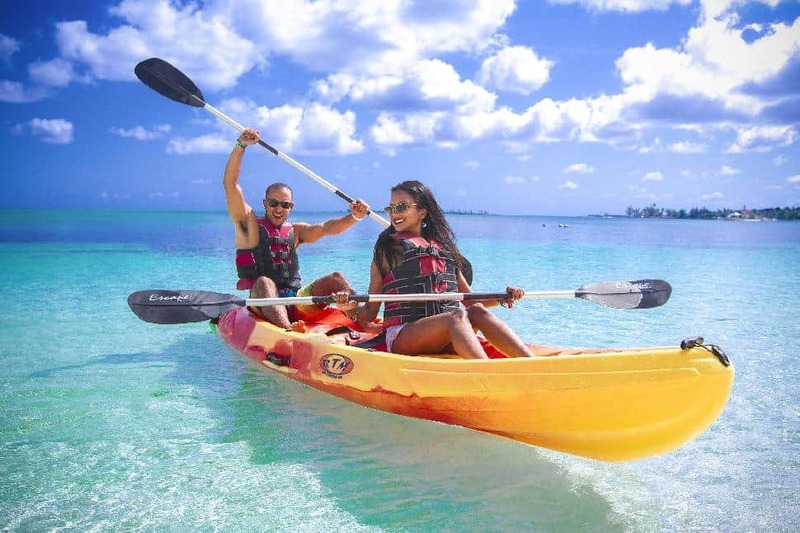 This year-round program founded by the Ministry of Tourism allows visitors to get an informal and genuine experience of local culture and Bahamian hospitality. Visitors might be taking a pleasant stroll sightseeing with a local one day or having a homemade meal in someone's house the next. 18. 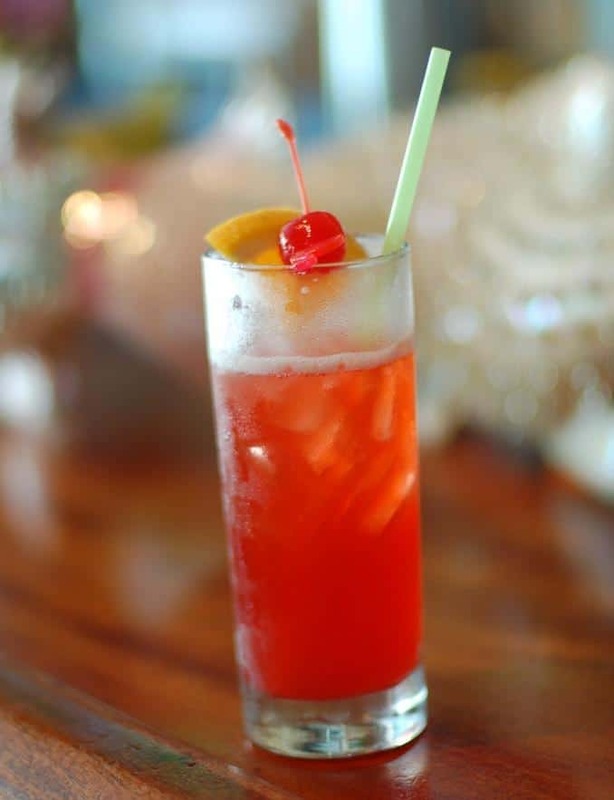 Visitors may be able to find a bar that will whip up a legendary Bahama Mama back home (the rest will just look at you funny when you ask), but there is only one place to get the real deal - The Bahamas. Although there is no real origin history to be found, this pineapple and rum-laden wonder is an island favourite with the resorts on the island making them with palate-pleasing precision. 19. The island of Andros may be the biggest in the Bahamian archipelago, but it is also the least populated. One of its biggest cultural attractions is the village of Red Bays. The village was founded in the early 1800s by Black Seminoles escaping slavery in America and went unnoticed until the late 1930's when a researcher discovered it. Even today the residents choose to forgo modern conveniences in lieu of the old ways. 20. After a few days of relaxing in paradise, visitors may be ready to undertake some amazing feats of endurance. The Bahamas are home to not one, but two triathlons - the Conchman Triathlon on Grand Bahama and the Pineapple Fest Triathlon on Harbour Island. 21. While the Bahamas may not have any challenging mountain treks, it is not altogether without trail hiking. Mount Alvernia on Cat Island is the highest point in the island chain, but only 150 meters above sea level. The climb to the summit is a steep one, but visitors are rewarded with sweeping views and an old monastery called the Hermitage. 22. If there's one reason to visit the Bahamas, it's the swim-up bars. Visitors can't find good ones just anywhere or the warm climate to support them, but in the Bahamas, they are in abundance with the Sip & Dip at Breezes Bahamas considered the finest among them. 23. For those that love to shop and love to get the best prices, the markets of the Bahamas are the perfect place to do it. While visitors will find some unique treasures at the local markets, Nassau is home to one of the largest and most famous markets in the Caribbean - the Straw Market. 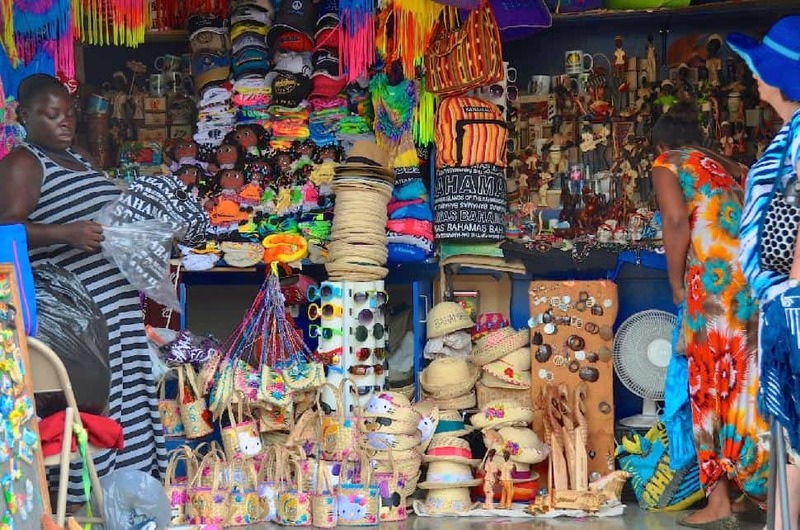 With dozens of vendors, the Straw Market sells almost everything under the sun, including local arts and crafts from all of the islands in the Bahamas. For those with a skill for it, it is also a great place for haggling. 24. The Bahamas feature an average of 300 sunny days per year. Any visitor that doesn't get a vacation full of beautiful clear days is either one of the unluckiest people alive or suffers from poor planning. 25. Bahamians are all about taking it easy. As such, it's only fitting that it is home to only the best spa treatments that help rejuvenate body and mind. At spa facilities like the Blue Mahoe, visitors can indulge in soothing herbal baths, deep tissue massages and refreshing wellness activities like Pilates or yoga. 26. With 700 islands and only 20 to 40 of them inhabited (depending on who you ask), the Bahamas are the perfect place for island hopping. Whether it is by kayak or your own private yacht, visitors won't want to leave once they discover the treasures that lie on islands like Black Point or Cat Island. 27. The Bahamas aren't all rocky cliffs and beautiful beach front. As it turns out, rocky cliffs and beautiful beachfront make for an excellent backdrop to golf courses. Golfers all over the world yearn to play on the golf courses of the Bahamas - even the pros. Visitors who wish to play a round should make a beeline for the championship course on Great Exuma. This 18-hole beauty was designed by golf legend Greg Norman and takes full advantage of the natural terrain and beauty. 28. For those that are visiting the Caribbean for the first time, a taste of traditional island fare is a must. However, frequent fliers will eventually find themselves open for a little more adventure. 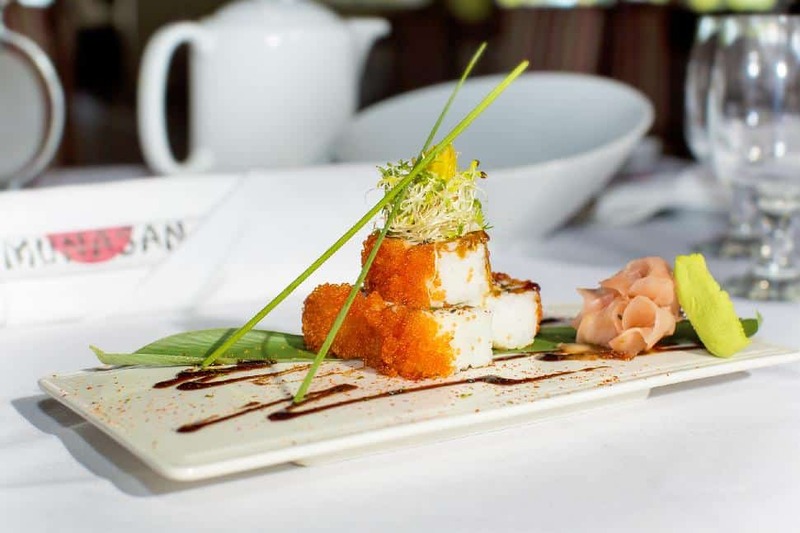 The Bahamas have become a hub for fusion cooking, melding international fare with island flair like Munasan with their brilliant Asian-Island fusion. 29. The Caribbean is where the New World began when Christopher Columbus discovered it. There has been some debate as to where exactly he first took to shore, but according to a report issued by National Geographic in 1986, his first steps on shore were in the Bahamas, specifically on Samana Cay. As the largest uninhabited island in the Bahamas, visitors can catch a boat and view a piece of history in its original unmarred beauty. 30. There is free diving, reef diving and wreck diving, but not every island has great cave diving. The Bahamas have all four. In Lucayan National Park, visitors can explore the longest known underwater limestone cave on Grand Bahama Island. It has been charted as far as 11 kilometres in but goes much further. 31. While avid fishing enthusiasts will find no shortage of deep sea fishing charters at any port, not every fishing expedition needs to take place from a boat. Joulter Cays on North Andros, aside from being a world class geological site, is also exceptional for its fly fishing flats. The surrounding waters have bonefish, snapper and tarpon all in abundance. 32. Responsible adult you may not be able to justify buying a house down by the beach, but fun-loving vacation you will definitely need to indulge in the beachfront rooms while in the Bahamas, if only for a few days. 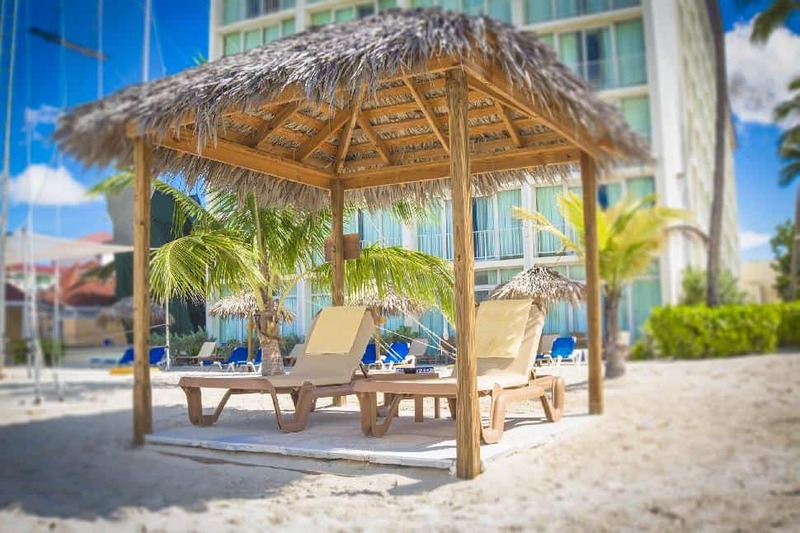 The beachfront rooms at the Breezes Bahamas are brand new in 2015 and even come with their own private cabana on the sand. 33. There is nothing more refreshing than a cold beer in the hot sun. For visitors to the Bahamas, Kalik is the brew of choice. Made right in Nassau, this golden, refreshing drink is fondly referred to as "Bahamas in a bottle". 34. Ever had conch meat? Fried plantains? Baked macaroni and slaw? No, probably not. The cuisine of other Caribbean islands has slowly spread worldwide, but it has left the Bahamas one of the few places where visitors can still try new tasty treats that are hard to find back home. 35. Held onto those dreams of running away and joining the circus? In the Bahamas, vacationers can live the dream without leaving everything behind. While strolling Cable Beach, visitors may notice the giant trapeze area sitting right down by the water at Breezes Bahamas. They not only put on demonstrations, but give lessons! 36. While it may be tempting to pick up some of the conch jewellery or wood carvings that are popular souvenirs of the Bahamas, a more unique souvenir would come hand harvested from the salt ponds on Inagua. When the trapped sea water evaporates during the dry season, what remains are natural deposits of authentic sea salt. 37. The Bahamian government removed the import duty on a huge range of luxury goods in 1992 and has since become renowned for its duty-free shopping. Visitors should be sure to browse watches, jewelry, liquor, perfumes and a wide range of haute couture fashion that can be discounted as much as 35% off. For the best bargains, head to Paradise Island and look for shops bearing the pink flamingo decal. 38. 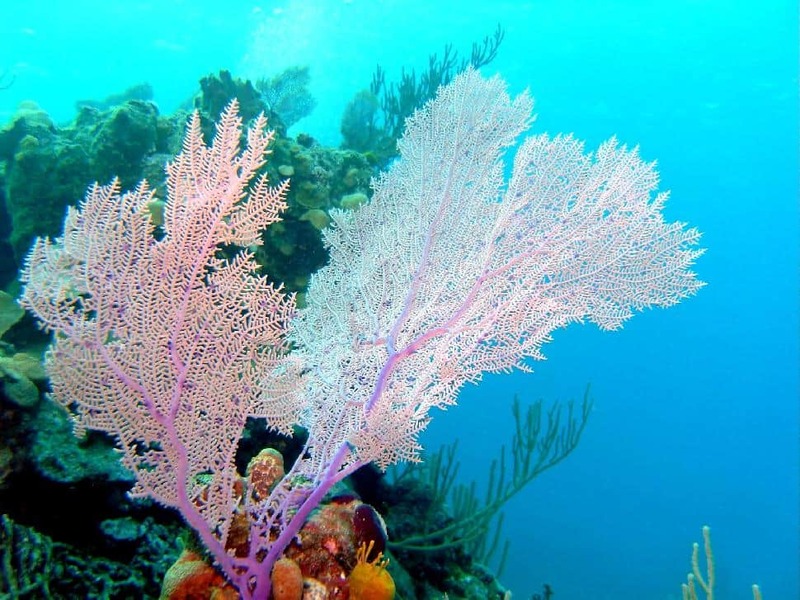 Even the most recreational divers would be remiss to skip the Bahamas. Whether visitors want to swim with sharks or parlay with dolphins, the waters of the Bahamas are reason number one to visit. Between the third largest coral reef off the coast, inland blue holes and sunken Spanish galleons, this island nation offers an incredible array of dive experiences unlike any other destination in the world. 39. Fancy having a furlough with a flock of feisty flamingos? On the drastically overlooked island of Great Inagua, these colourful fowl outnumber people at a ratio of 61 to 1. 40. Last, but certainly not least, the final reason to head to the Bahamas for that next vacation is the resorts. The Caribbean is world famous for its hospitality. Ready to live it up in the Bahamas? The friendly folks at Breezes Bahamas already have a chair on the beach with your name on it!